Nsuk Gist: No More Water Scarcity In Keffi? Gov Al-Makura Awards N1bn Mada Water Works Project! No More Water Scarcity In Keffi? 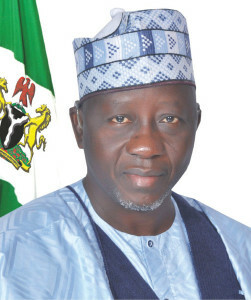 Gov Al-Makura Awards N1bn Mada Water Works Project! Following efforts by the Nasarawa state government to ameliorate the hardship faced by communities in accessing portable water, Governor Umaru Tanko Almakura said N1 billion contract has been awarded for the rehabilitation of Mada water works. Al makura stated this yesterday when he received the new Emir of Keffi Dr. Shehu Usman Yamusa II, paid him a solidarity visit in his office. He said the total turn around of the water plant and transmission pipelines was to ensure sustained water supply to Keffi, which uses over 75 percent of the water supplied by the plant. The governor who commended the people of Keffi Emirate for their peaceful manner they conducted the selection of the new emir after the demise of his father barely a month ago, called on them to accord the monarch all the necessary support and cooperation to enable him succeed. He also assured the royal father that he had forgiven those attacked his convoy on the day the late emir, Chindo Yamusa I, was being laid to rest saying the sense of loss he felt for the late monarch was so overwhelming to keep a minor fracas at heart. He, however, noted that the security agencies who have the constitutional responsibility to handle such matters would be allowed to discharge their duties. Earlier, the Emir of Keffi called on the governor to forgive those that attacked him during his father’s funeral in Keffi and work towards ensuring constant water supply to the ancient city. The royal father also pledge to support the government of Governor Almakura in its efforts to ensure lasting peace and development in the state.